I decided to do some work on the neck blank today. The sun was shining into the carport this morning when I set up my workmate and clamped the neck blank in place. Fetching the router I found that it had the truss rod bit already in place and set to go. I attached the fence, made some adjustments to ensure I had the center lined up, and then routed the slot in a jiffy. I went to put the truss rod into the slot next. It didn’t fit! 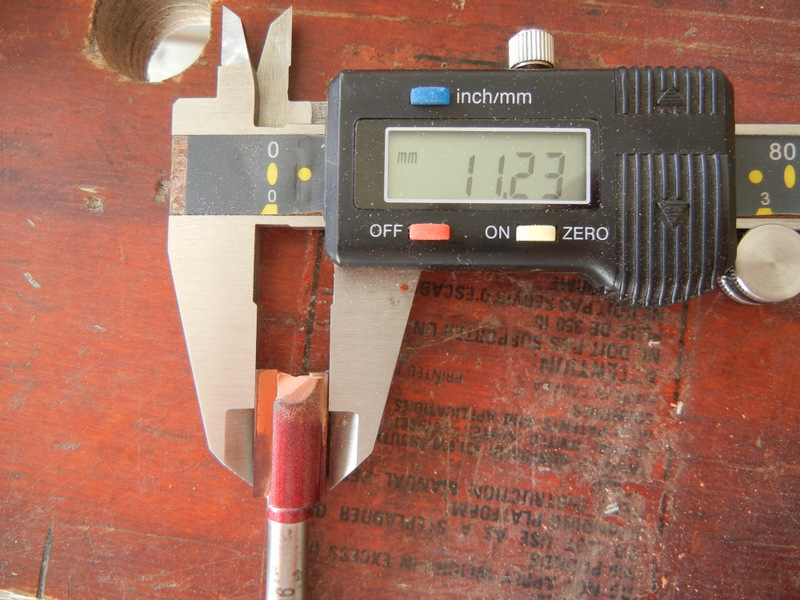 I looked a little closer and discovered that my supplier had changed their truss rod in a very small way, but now it was wider by about one millimeter. Problem: no 12mm router bit. I looked through my bits and found one that was 1/2″. Close enough, so I swapped it into the machine and set the depth, then ran it down the groove, shaving off the millimeter required. Only now the rod was a bit loose. No major deal here, I put electrical tape on the rod, which made it snug in the groove. 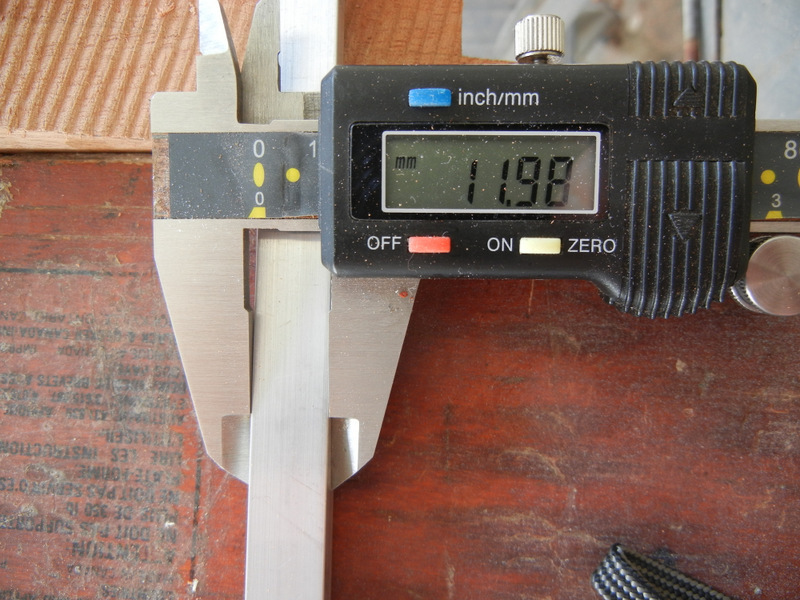 But if they keep sending me 12mm wide truss rods I guess I’ll have to buy a 12mm bit. 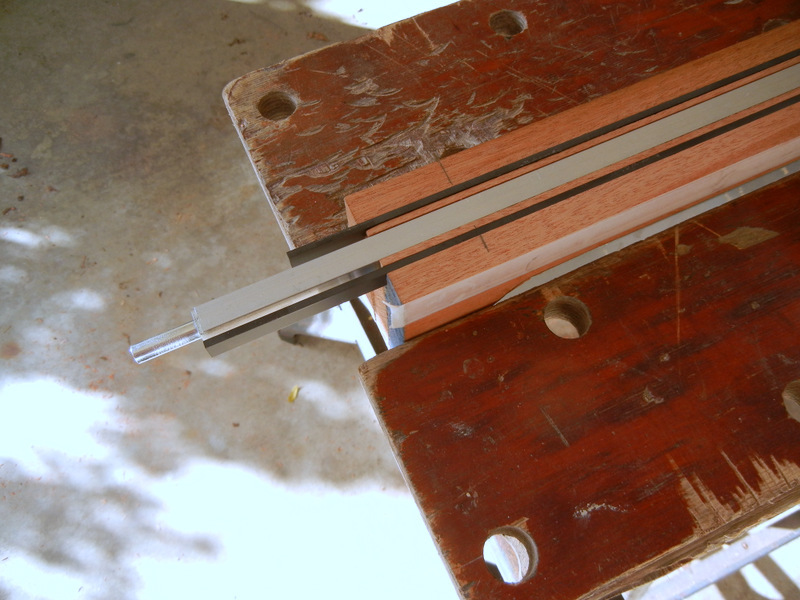 I have learned that it is sufficient for a truss rod to be installed without glue, and in fact I think it’s better. That way if it ever breaks it can be withdrawn and replaced. If it were glued, forget it – make a new neck. 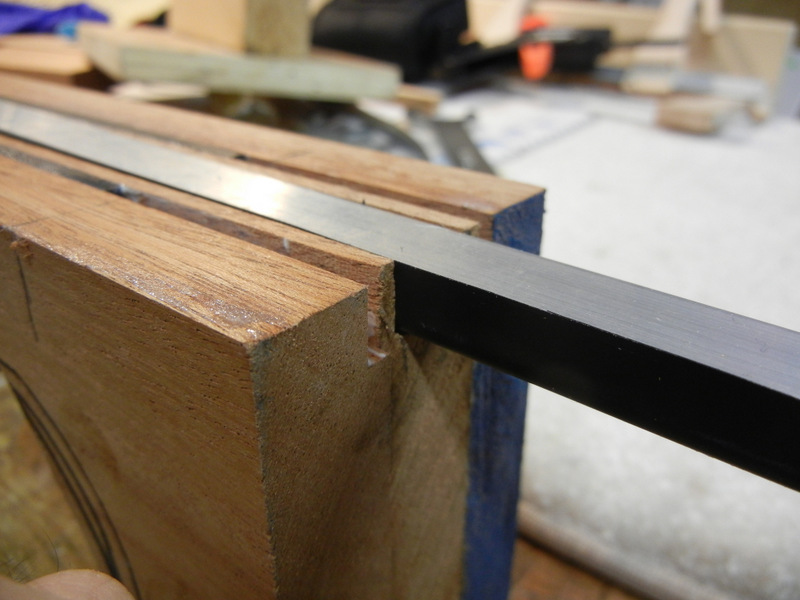 After the truss rod groove I switched to a new 1/8″ bit and routed slots for twin carbon fiber rods I recently bought. I cut one long piece in two, sufficient to do both sides of the neck. These were glued in place with epoxy. The slots had to be widened for these just a bit, which was done by adding tape to the sides of the neck blank and to the router fence for a second pass at the slots. After that the carbon rods dropped right into place perfectly.